Many of us bemoan the idea of getting older, but apparently, women are far more on board with the concept than men. In fact, 73% of women believe that 70 is the new 50, according to data from TD Ameritrade, while 62% say that retirement will be the most liberating phase of their lives. Specifically, 83% of women feel that aging offers an opportunity to reach new goals, while 72% think that once they get older, they’ll have a chance to focus on themselves after years of focusing on others. 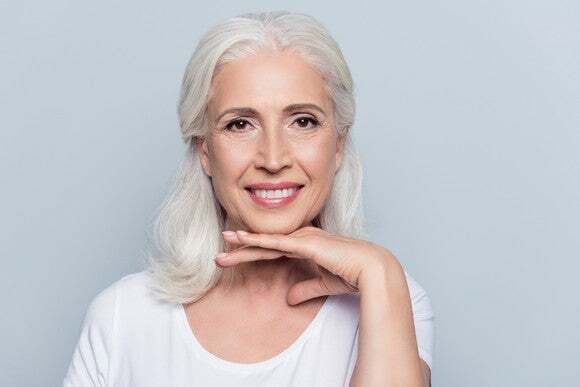 Throw in the freedom that retirement brings, and it’s no wonder so many women are excited about aging rather than dreading it. At the same time, a meaningful retirement often hinges on the ability to sustain oneself financially throughout, and in that regard, women risk falling short. A study released earlier this year found that women are only saving about half as much for retirement as their male counterparts. Furthermore, despite whatever enthusiasm about the future they might have, based on their savings levels, 42% of women believe they’re at risk of depleting their nest eggs by the time they turn 80, according to Merrill Lynch and Age Wave. If you’re eager to embrace and enjoy your golden years, you shouldn’t let money be the one thing that holds you back. And if you take steps to save appropriately during your working years, you won’t have to. No matter what goals you have for retirement, the more financially stable you are going into your senior years, the more you stand to make the most of them. An estimated 58% of women plan to travel abroad when they’re older, according to TD Ameritrade. But travel costs money, as does the ability to enjoy leisure activities with family and friends. That’s why it’s crucial to build a solid nest egg during your career, and retire at a point when you have enough money to support the lifestyle you’ve always imagined. Only 9% of U.S. women have $300,000 or more socked away for retirement, reports Merrill Lynch, which means most have some catching up to do — particularly those at the latter stages of their careers. Here’s the good news, though: Women who make a serious effort to ramp up their savings later in life stand a strong chance of retiring when they want, and how they want. Let’s imagine that you’re 50 years old with just $50,000 saved for the future. If you begin maxing out a 401(k) at next year’s $25,000 annual limit, and continue doing so until you turn 70, you’ll wind up with over $1.2 million to work with in retirement, assuming your investments generate an average annual 7% return during that time. That 7% return on investment, by the way, is more than doable with a stock-heavy portfolio, since it’s actually a couple of percentage points below the market’s average. And that leads to a second point: Not only should you strive to save more during your career, but you must also invest efficiently. If you’re too conservative, you risk falling short later in life. Of course, maxing out a 401(k) for many years is easier said than done. For one thing, you might not have access to one, or you might have too many bills to part with $25,000 each year. But even if you were to only save $12,000 a year over a 20-year period, you’d still add close to $500,000 to your starting balance, assuming that same 7% return. And that could be enough to buy you the retirement of your dreams. While it’s encouraging to see that women are embracing the idea of aging, they should also proceed with caution. Yes, retirement can be invigorating, but it can also be financially challenging, especially since women have a tendency to outlive their male counterparts. If you want to enjoy your golden years to the fullest, save aggressively and invest wisely. With any luck, your efforts will pay off in the long run. Women don't have to worry about keeping it up………..